How Far is it From Jerusalem To Zion? Where is Jerusalem? What is Zion? How can the distance to the final redemption be measured? How far away is it? 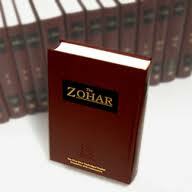 The Torah and Zohar have all the answers. We can understand from these and many other references to Zion in the Zohar that Zion is a spiritual place, a point above the physical Jerusalem, which is manifest in Malchut. 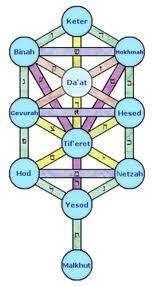 In terms of the tree-of-life, Zion is Yesod of Malchut. There are 10 Major sefirot (dimensions) in the Tree-of-life and each are subdivided into 10 similar ones, thus 10 x 10 sefirot. The bottom most (the 100th one) is Malchut which just receives from the others and the one on the scale just above it (say the 99th one), is Yesod of Malchut. It is from this point that all the light (energy, life-force) from all the others gets channeled through. This is Zion. The further removed we are from Zion, the further away we are from purity and from the life-sustaining light. We need to know how far we have to climb for Malchut of Malchut to join with Yesod of Malchut to become one with the Light, with G-d, with the Tree-of-life reality. That answer was given to us by the Torah. From Jerusalem (M’Yerushalem, MYRVShLYM) To Zion (B‘TzYVN). The prefixes, “From” and “To,” “Mem” and “Bet,” are the designated letters (MB) that add up to 42, and that the Torah uses to initialize all spiritual journeys, including all 42 times that the Israelites journeyed in their 40-year trek from exile to the Promised Land. These letters (MB) are also representative of the Shem Mem-Bet, the 42-Letter Name of G-d, that is Zeir Anpin and where we can find Zion hidden in Yesod of Malchut. 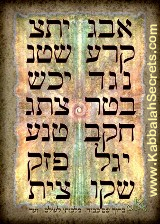 If you will, please notice that in the center of the last line of the 42-Letter Name matrix are the letters Vav-Tzadi-Yud, preceded by the letter Koof which is composed of a Caf or Resh and a final (sofit) letter Nun. Thus we have the letters Tzadi-Yud–Vav-Nun sofit which spells TzYVN (ZION). This is not coincidence; it is a gateway, but being that as it may, how to we go from Jerusalem to Zion, in order to receive all the blessings of the final redemption. So the question must first be how do we measure spiritual distance? We can’t use a tape measure because there isn’t a rope, not even an invisible one that stretches from one dimension to the next. The only thing that spans that distance is energy, and the only way to measure this energy is with gematria, for in spirituality distance is measured by similarity of form and that is what gematria reads, how similar or dissimilar an objects energy is. When we add up the gematria value of “From Jerusalem (M’Yerushalim, MYRVShLYM) To Zion (B‘TzYVN)” we get 2017, or maybe 2018 with the Kolel, given that Abraham’s journey and thus the entire Israelite and monotheistic journey began in 2018 HC at paragraph 42 in the Torah. Well, what else has followed our society’s spiritual journey lately? The attack in Mombasa on Nov 28th, 2002; the earthquake in Bam, Iran on Dec 26th 2003; the Tsunami (mabul) off the coast of Meulaboh, Indonesia on Dec 26th 2004; the attack on/in Mumbai on Nov 26th 2008; Bernie Madoff on Dec 11th, 2008; the massive blackbird kill on Jan 1, 2011 (1/1/11) at Beebee, Arkansas; Mubarak’s downfall on Jan 26th, 2011 and ultimate ouster on the hillula of Moshe Rabbeinu, Feb 11th, 2011. Of course, there is President Obama, and now the Muslim Brotherhood. As for the 11’s, they could relate to the 11 sefirot, etc, but 26 is definitely the numerical value of the Tetragrammaton (YHVH). And some would say that the ultimate 11 was on 9/11/01 with the attach on the Borough of Manhattan. In our on-going series on the 10 Commandments, we’ll soon see how this all ties together. Don’t see the connection? 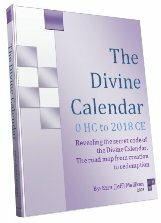 Need a divine oracle? Seeing as this week’s Torah portion was Tetzaveh, how about using the high Priest’s Breastplate and garments, the Choshen and the Urim and Tumim. No, it’s true they are no longer available to us but they did house and rely on the divine power of the Shem Mem-Bet (42-Letter Name) that is still very much available to us. And while the numerical value of Choshen is 358, the same as Moshiach (Messiah), the numerical value (gematria complete sofit) of the Urim and the Tumim (HEVRYM V’HTMYM) with the kolel is 2018 yet again. Thus even without its presence today, we can understand the chazal’s explanation that the understanding of the Shem Mem-Bet with bring about the geula (final redemption) and Rav Yehuda Ashlag of blessed memory’s explanation that the Moshiach will be manifest in 2018 (5778). The distance shortens everyday. Are we ready? Remember, 3330 years ago, the distance narrowed to zero, but we weren’t ready. Are we ready today? 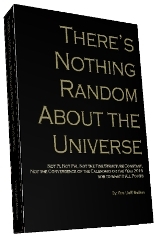 Author Jeffrey MeilikenPosted on February 13, 2011 February 13, 2011 Categories RevelationsTags 10 sefirot, 11 sefirot, 2018, 2018 ce, 358, 42, 42 journeys, 42-letter name, 5778, abraham, Bam, Egypt, Iran, Israel, Jerusalem, journey, journeys, madoff, messiah, Mombasa, Moshiach, Mubarak, mumbai, Muslim Brotherhood, obama, Rabbi Shimon Bar Yochai, Rav Ashlag, shem mem-bet, Tetragrammaton, Torah, YHVH4 Comments on How Far is it From Jerusalem To Zion?